Damtew Teferra is professor of higher education and leader of the Higher Education Training and Development (HETD) at the University of Kwazulu-Natal, in Durban, South Africa. He also directs the International Network for Higher Education in Africa (INHEA), a joint venture of the Center for International Higher Education at Boston College and the HETD at the University of KwaZulu-Natal. Damtew Teferra cites a dearth of data and ignorance about the continent’s concerns as key reasons that efforts to rank African universities are a bad idea at present. African higher education circles have reacted with suspicion and disdain after it was revealed that a system is being developed to rank the continent’s universities against each other. The proposed ranking system was announced during a higher education conference organized by Times Higher Education (THE) in collaboration with the University of Johannesburg. This news generated far more attention than other issues raised there. But for all the fervor, this initiative seems to me to be doomed from the start. There are a number of reasons for this and they should not be ignored amid all the hype. At the African Higher Education Summit in Dakar in 2015, former UN Secretary-General Kofi Annan lamented the chronic lack of data available about Africa’s universities. His concern echoes many players in the continent’s higher education sector. There has been some progress, but there is still a long way to go. For instance, as shocking as it may sound, no-one currently knows for sure how many universities there are in Africa. Despite this, the continent is being fast-tracked for comparison in a ranking regime. These ranking entities, claiming that they are “moving Africa’s universities forward”, are actually just shooting in the dark. The simple question is this: how would one claim to rank institutions when comparable and meaningful data from Africa’s universities is virtually non-existent? I once attended a major conference at which a minister of higher education, the director of a quality assurance agency and a researcher – all from the same country – provided different figures about the most basic of national higher education data. This suggests that their data sources were far from authoritative. It was an ideal demonstration of how futile it would be to try and rank African universities. Rankings are a growing fad that is unsettling academic institutions around the world. Multirank, QS, Shangai Jiao Tong and THE are just a few of the bodies that claim to provide definitive global university rankings. Will all of these ranking regimes descend on the continent simultaneously now that THE has announced its African system? If they do, I and others will welcome the rush – simply because their divergent results and motives will render their rankings even more meaningless. South African universities tend to have access to much better data and institutional information than their counterparts elsewhere on the continent. It may not, therefore, be inconceivable for the country to play this subjective ranking game. But the rankings snapshot unveiled at the conference was off the mark even for South African universities when contrasted against, for instance, existing national measures and hierarchies. 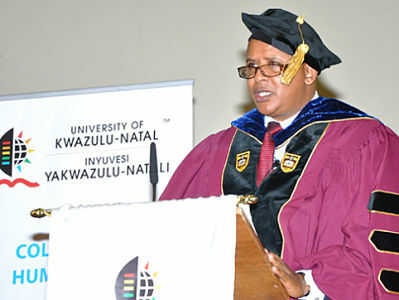 THE’s African ranking puts the University of KwaZulu-Natal, my institution, fifth. But it has actually topped the country’s national productivity measures for the last two years running. Ethiopia’s Jimma University, which performs exceptionally well by all national measures, did not make the rankings. Addis Ababa, the country’s leading flagship institution (and my alma mater) was ranked only 16th. Any country’s national measures are surely better positioned to establish hierarchies among their institutions. They have a better data set than their foreign ranking counterparts and the added benefit of insider knowledge. If the litmus test of credence for international rankings is how they compare to national assessments, it may be that the former are far from reliable. 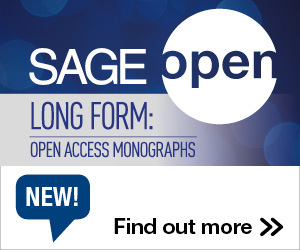 Most of these exclusive journals are headquartered in rich, industrialized countries. They do not appear overly interested in publishing articles that are critically relevant to Africa. They generally don’t want to explore issues like the prevalence of bilharzia in the Democratic Republic of the Congo, wheat productivity in Ethiopia, housing challenges in Lagos or child soldiers in conflict zones. The editors of these journals can be excused for ignoring these “localized” or “regionalized” issues. Their readers simply aren’t interested. In this era of competitive global publishing, mergers and the consolidation of publishing houses (which mostly own these journals), one cannot expect the editors to stand with such marginal stakeholders as Africa. By the same token, it would be unfair and inappropriate to push a ranking agenda based on such journals down the throats of African institutions. The data that we do have to hand suggest it will be very difficult to rank Africa’s universities in the first place. I conducted a study about the continent’s flagship universities, both in English and French-speaking countries (it is due to be published as a book soon). The result? There are remarkable similarities between these institutions. Even the total number of graduates since their inceptions is closely comparable. This makes sense to those in the know. The universities examined in the study, and many elsewhere in Africa, were established at a similar time. They share the same historical background, have faced common consistent challenges and policy ambivalence and have weathered similar economic, social and political upheavals. To be a little hyperbolic, the search for the difference between African institutions may amount to identical twins and fraternal twins. How, then, can these universities be stacked up against each other and ranked? These observations may not surprise the experts who study African higher education sector closely, nor the continent’s mandated higher education bodies. But this conversation is happening without them. Instead, powerful forces far beyond Africa’s shores continue to muscle through their interventions, pursue their own interests and even organize events on behalf of the continent without bringing the key and designated institutions to the table. If these international rankers wish to gauge the capacity, output, trajectories and trends of African universities they should closely engage and consult with recognized and mandated continental and regional higher education bodies. These include the Association of African Universities, the Association of West African Universities, the African and Malagasay Council for Higher Education and the Inter-University Council for East Africa, among others. Part of what happens once they arrive at the table must be a serious, honest, open and explicit conversation about whether Africa should even bother with these ranking fads at this time – or ever. This entry was posted in Higher Education Reform and tagged Africa, The Conversation, University Rankings. Bookmark the permalink. Post a comment or leave a trackback: Trackback URL.